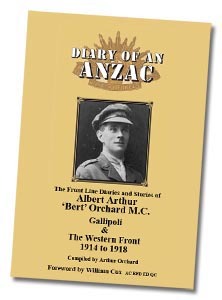 The Front Line Diaries and Stories of Albert Arthur 'Bert' Orchard M.C. Gallipoli & The Western Front 1914 to 1918. 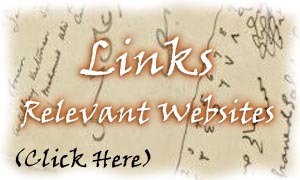 Over 260 pages, fully indexed. Includes 48 pages of photos and sketches. These are the diaries of an ordinary Australian soldier. Forward by Hon William Cox AC, RFD, ED, QC. four, long hard years later. Bert had his fair share of personal tragedy and suffering even before WW1 began. Bert Orchard, a Tasmanian Digger, kept the diaries throughout his WWI postings, including the ill-fated Gallipoli campaign. He wrote aboard the troopship Atlantian as British warships rained shells on the Turkish coast on April 25,1915. Two days later his brigade stormed the beach and Bert Orchard watched the history-making events unfold from his artillery post high on the rugged coast. 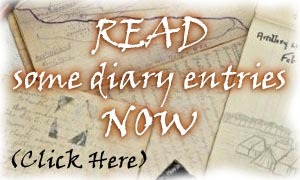 Every page of the diaries is full of tiny, spidery handwriting in pencil. Bert Orchard even took the time to draw some maps, and a dried pansy is found pressed between two pages. 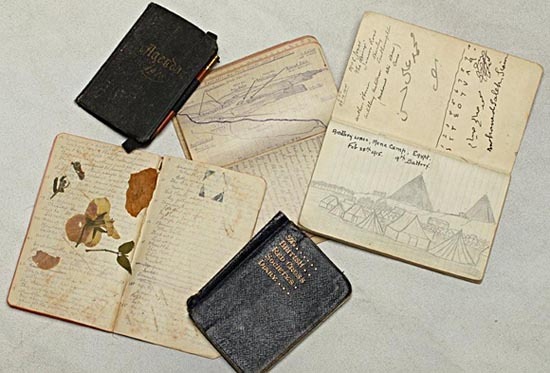 One often-read page of the diaries recounts his thoughts on the day before his brigade was to land at Gallipoli. The diaries were written by someone who was just doing their job. He had no preconceived notion of what Gallipoli would become in the future. He had served also in France, on the Western Front, where his bravery earned him a Military Cross — second only to the Victoria Cross. He was to marry three times in Tasmania and produced five children. He was also a founding member of the Returned and Servicemen's League in the state and an active member of Legacy throughout his life. Albert Arthur 'Bert' Orchard M.C. Gallipoli & The Western Front 1914 to1918. RRP = $34.95 - Wholesale enquiries welcome. Fullers Bookshop in Hobart or Post Offices in Lindisfarne, Battery Point and Claremont Village. 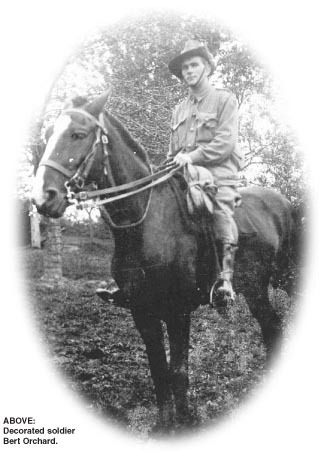 Diary of an ANZAC: The Front Line Diaries and Stories of Albert Arthur 'Bert' Orchard M.C. No images or text may be republished in any format without prior permission. due to unexpected circumstances beyond our control.